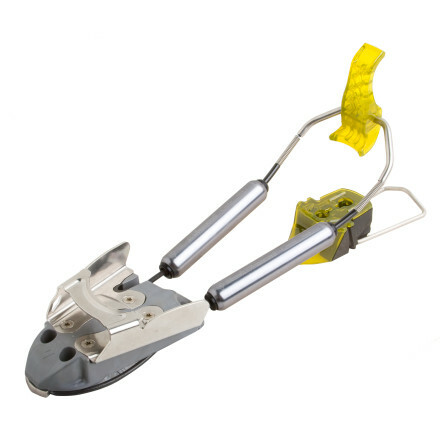 Visit Black Diamond's 03 Binding page. The O3 tele binding from Black Diamond is focused on versatility and touring ability. Having been designed as a simple, value-oriented tele binding, it produces minimal resistance while touring for unparalleled comfort. 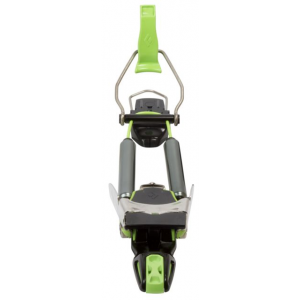 The Black Diamond O3 Telemark Binding focuses on versatility and tourability. 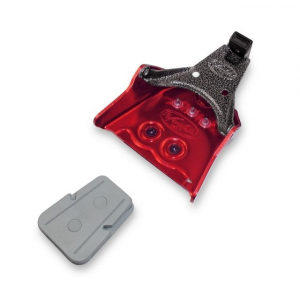 This binding incorporates a one-piece, stainless steel toe box that entirely surrounds your boot's toe to provide maximum power transfer and durability. Forward-mounted flex points minimize resistance on the uphill. 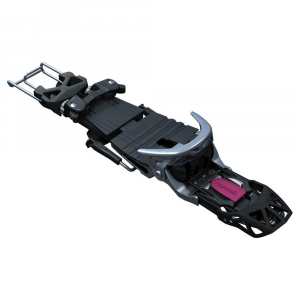 Black Diamond integrated the O3's toe plate with a reinforced anti-stick riser that provides a secure, ice-free connection to the ski. 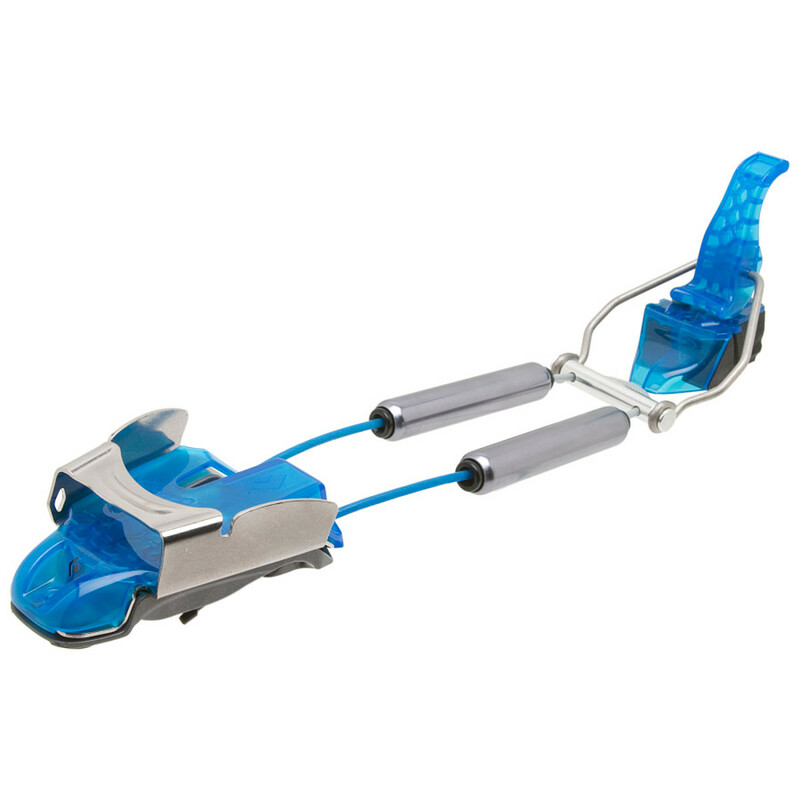 The Freeflex is Black Diamonds softest, most neutral cartridge, making it ideal for touring and lighter skiers. The O3 fits all Scarpa boot sizes. The powerful design of the Black Diamond O3 Telemark Binding is consistent throughout each turn and transition. 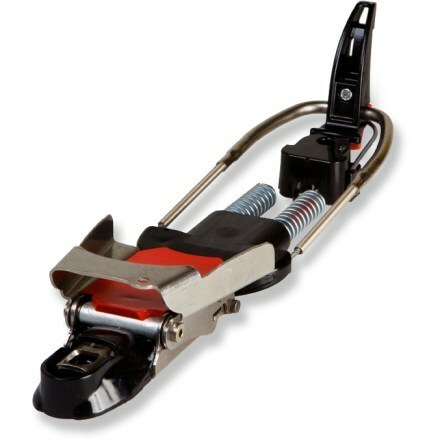 Its tour-friendly under-foot cable exit points and toe riser are designed to work with the natural flex of the boot bellows - creating a more neutral binding that still has progressive power transmission. The result is a binding that keeps the ball of your foot on the ski, allowing even weight on both skis and the ability to maintain tip pressure throughout the turn. 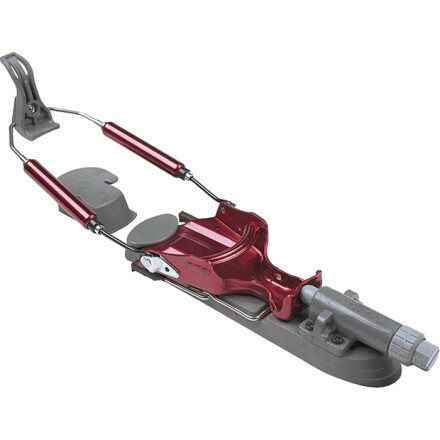 An integrated anti-stick riser and one-piece stainless steel toe plate provide a secure, powerful connection to the ski. Choose from three levels of stiffness in your compression-spring cartridges - FreeFlex, MidStiff and Ridiculously Stiff. The Black Diamond 03 Binding is not available from the stores we monitor. It was last seen January 15, 2013	at Mountain Gear.